Never lose another customer. Know what your customers are really feeling. Get amazing response rates. Fix customer issues in real time. Your very own private feedback network. The PSA survey designed for your environment. This is your reporting dashboard. Verbatim comments, NPS and trend reporting. If you use Professional Service Automation (PSA) software, you’ll be very aware of how tough it is to get customer feedback from the emails you send and the cases you solve. Many PSA solutions do not offer a built in survey method. And where they do, many of those surveys are not always perfect for MSPs and other professional services companies to generate feedback. But at the same time, you need customer feedback to constantly improve your service and stick to SLAs. That’s where Customer Thermometer comes in. See how we get better, faster and more actionable customer feedback. Send yourself a Thermometer survey right now. We get along famously with all of these PSA solutions and many more. And all these leading Professional Services, MSPs and IT support companies have swapped to Customer Thermometer for their PSA survey. One click for your customers. With our 1-click PSA survey – you can get feedback in real time about your service. So you can instantly follow up with that client and put it right again – before things go too far. 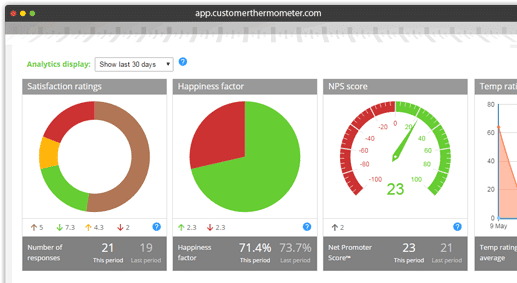 If the ’20 question’ survey isn’t getting you the feedback you need, give Customer Thermometer a try. You’ll never lose another customer. Most clients actually want to give you feedback throughout the lifetime of your contract with them. But long surveys take too long out of their day and often just aren’t appropriate for a service environment. When your customer has clicked, they can leave a comment too. It takes a customer seconds to answer. 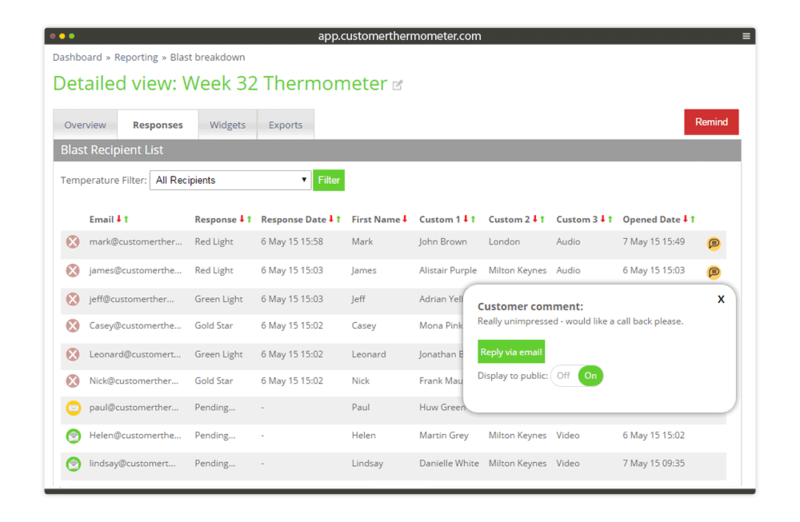 And you can be alerted to negative feedback in real time via email or mobile alert. Your first 10 surveys are on us.